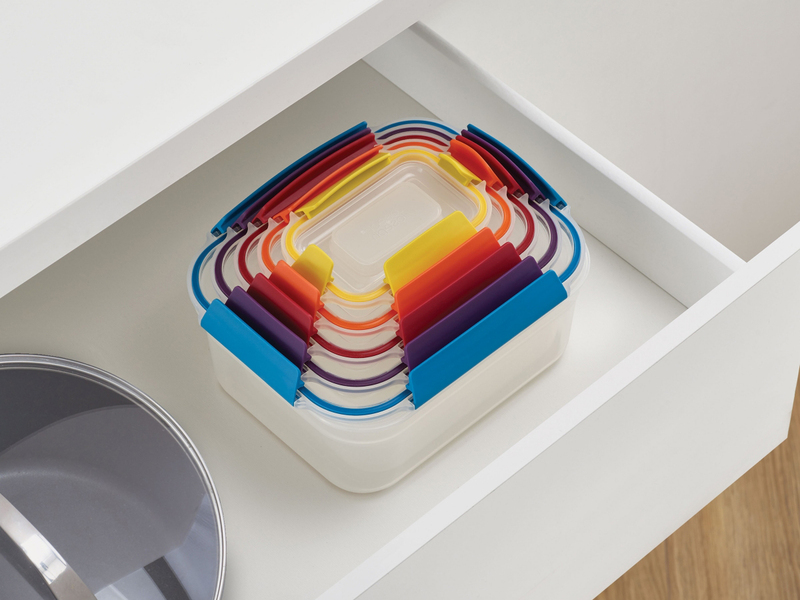 Following on from the success of the original Nest™ Storage which Morph designed for Joseph Joseph back in 2014, we have developed the concept further resulting in the ultimate storage solution Nest™ Lock. 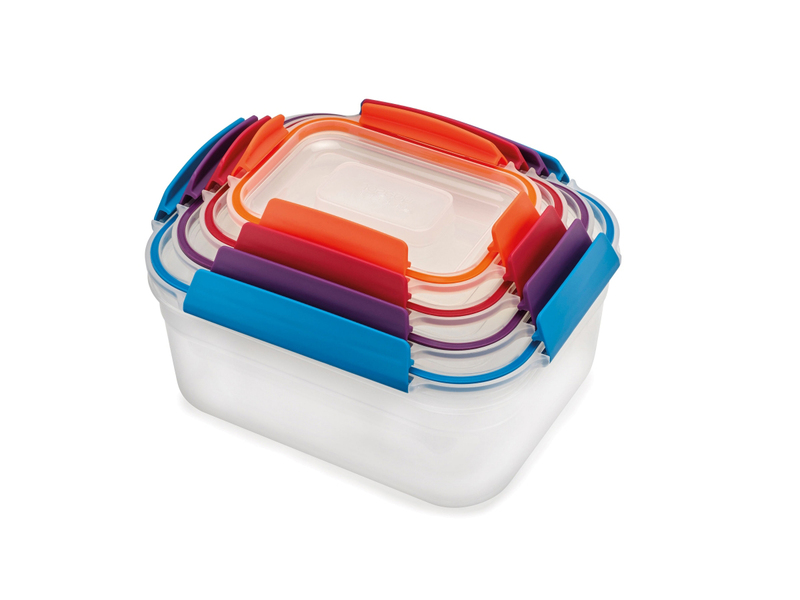 One of the key features of this range is that it addresses the issue of organisation when not in use, as effectively as it does when they are. 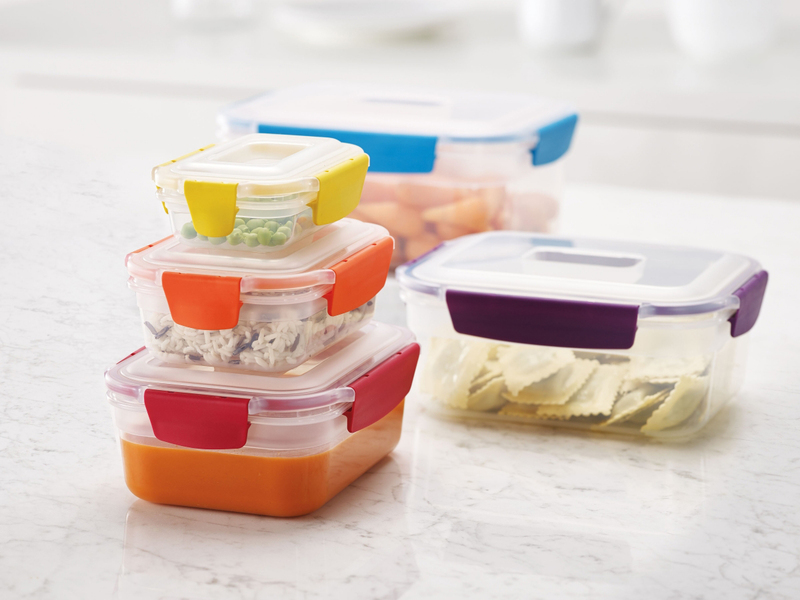 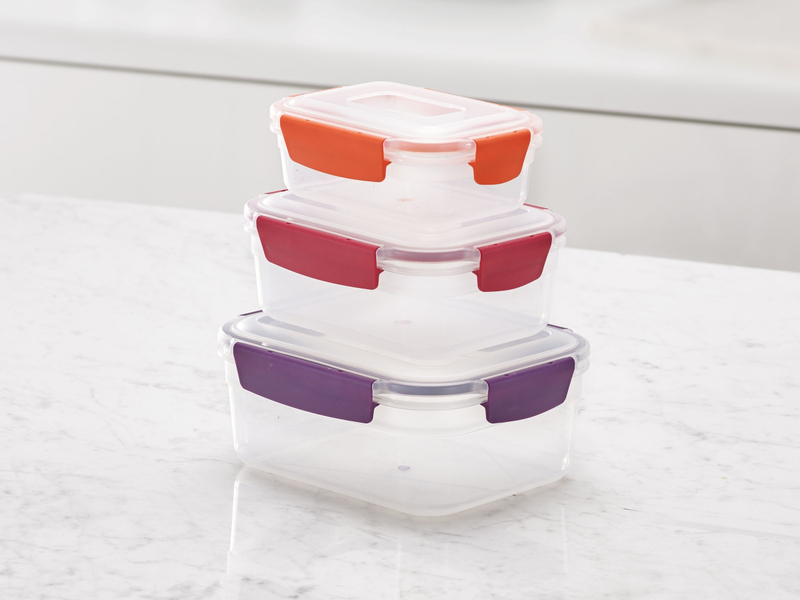 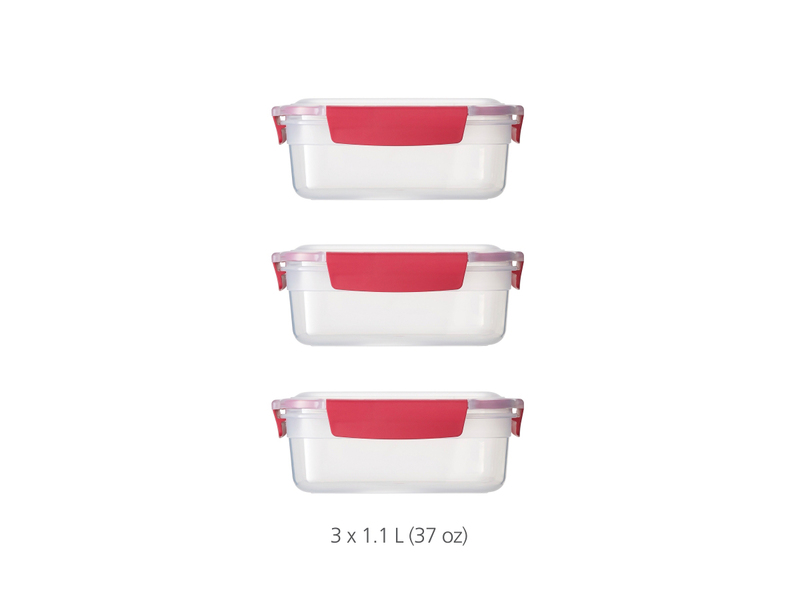 All the lids irrespective of size can snap together when being stored, even including those of the same size, while at the same time all the containers are designed to nest within one another, or in the case of like for like sizes, be efficiently stacked together. 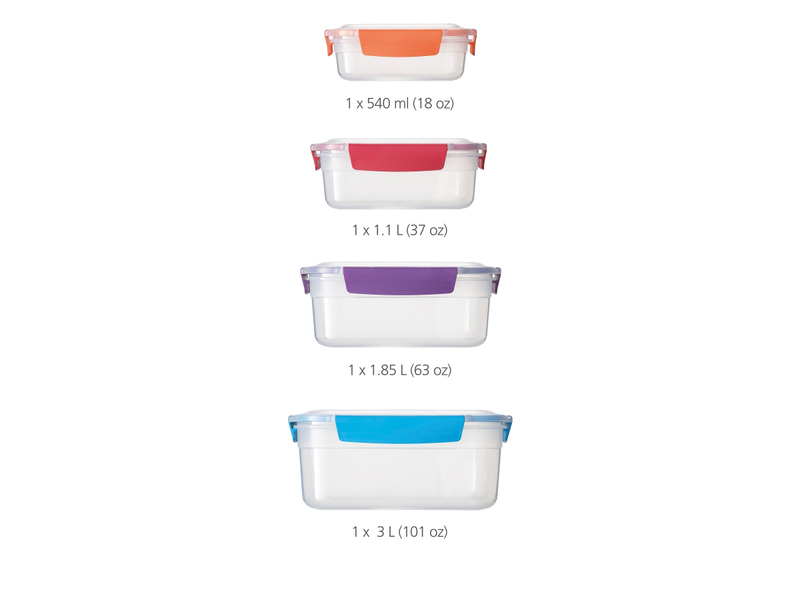 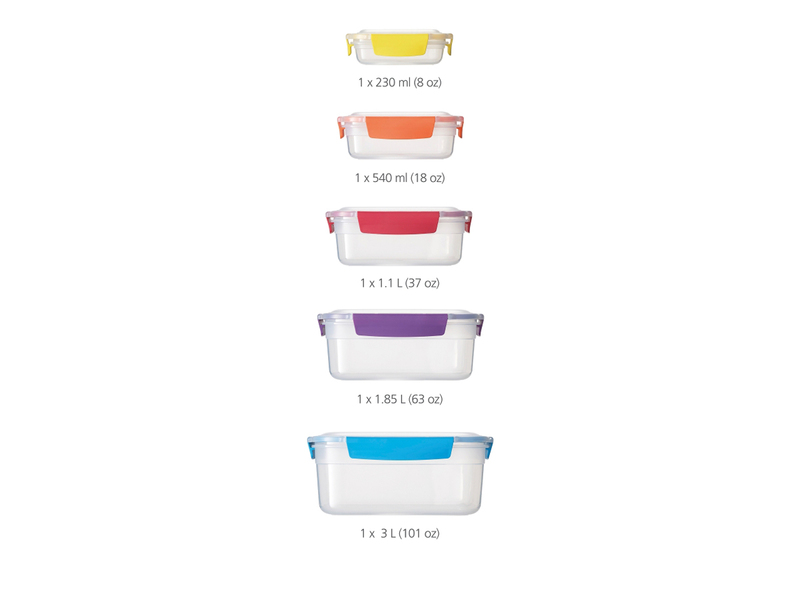 The lids and containers are colour coded so that matching the correct sizes is effortless to do at a glance. 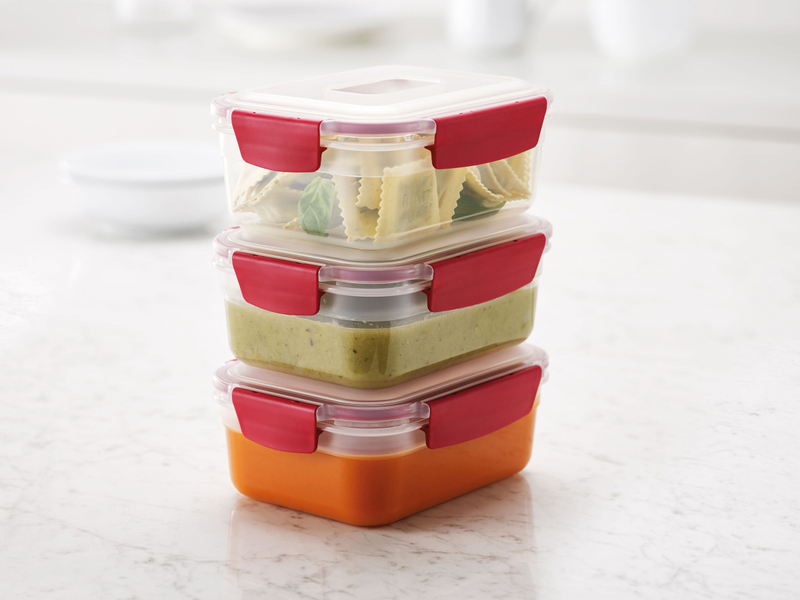 When in use, multiple containers of the same size stack neatly on top of one another, making the best use of space in the fridge, freezer and cupboards. 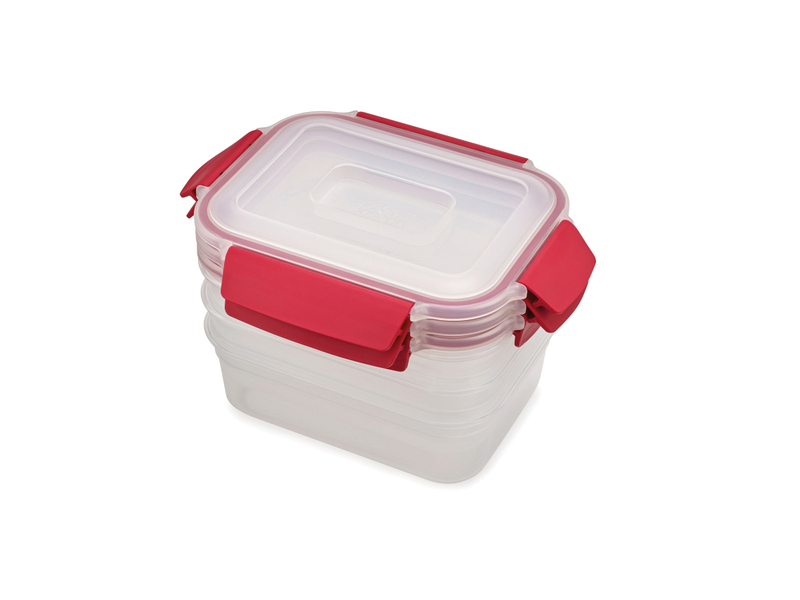 The introduction of a market leading locking lid and airtight seal also makes them ideal for use on the go. 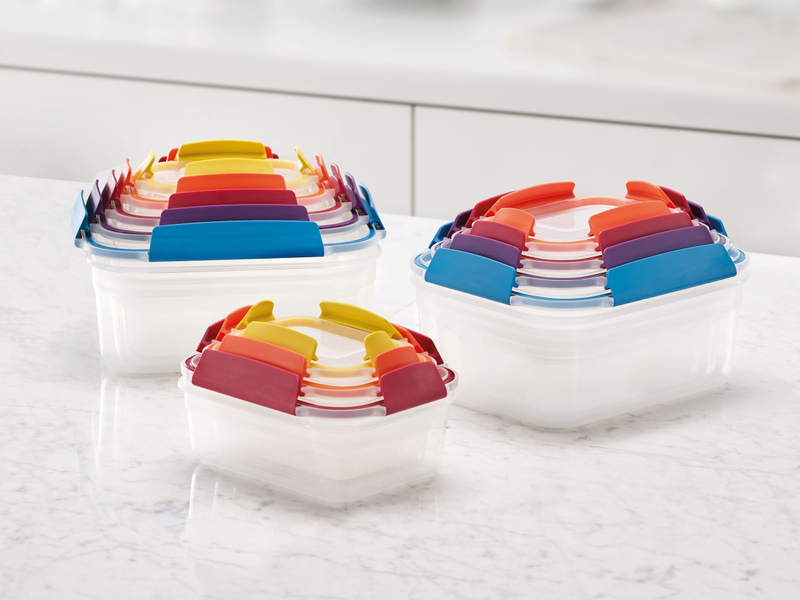 “The problem with most storage containers is that they take up precious cupboard space when not in use and usually require the lids and bases to be stored separately – which make finding and pairing both elements a hassle. 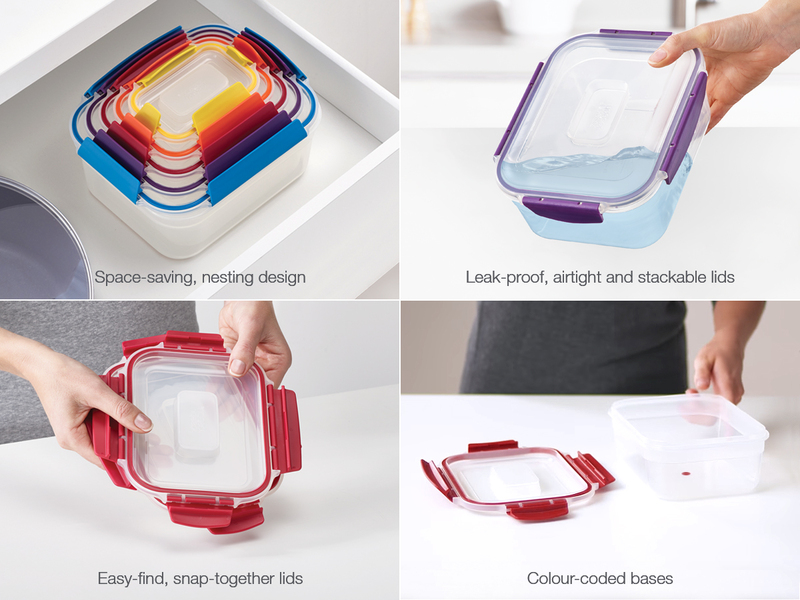 All this is solved though with the unique stacking design of Nest™ Lock as the container bases nest neatly inside each other and the lids clip conveniently together. 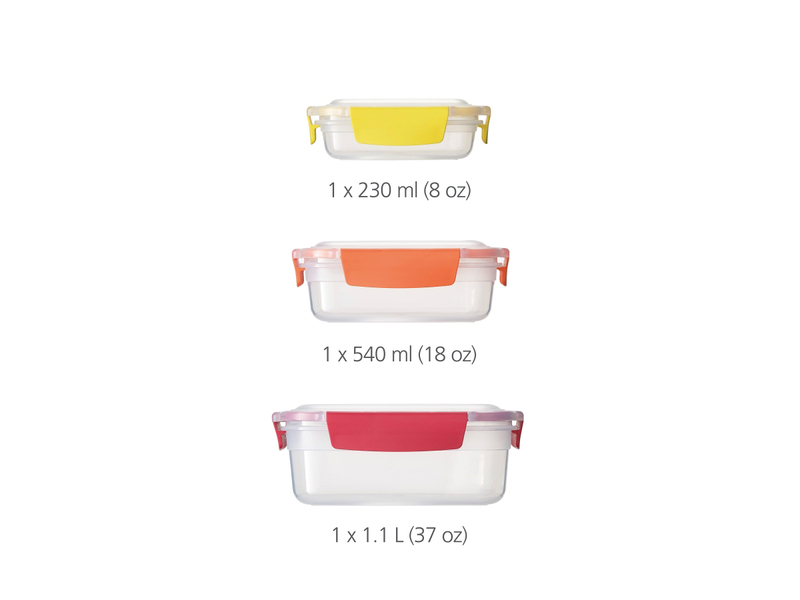 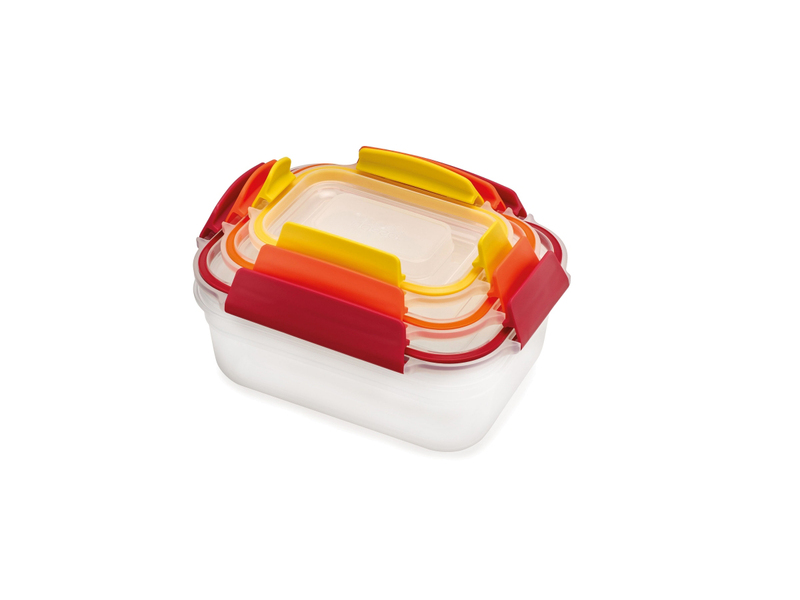 As each element is colour-coded too, it’s very easy to match lids with bases when you need them.